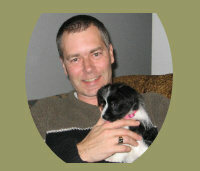 Born in 1964 on Vancouver Island, BC, Rob has spent the better part of his life as a married man. Although married late in life, at age 36, this late-blooming change in his life has allowed him to experience widely the ups and downs of relationships, dating life, breakups and even teen life issues. Rob will use his experience to help you as best he can. If you were born with the name Robert Edward Lee and liked to give advice what would you call yourself? Rob’s advice is free and is provided for entertainment purposes only. It may take up to 2 days for you to receive a reply. If you don’t get a reply after two days, please send your email again. And if you don’t like Rob’s advice, just delete it. But remember, you do have someone online you can turn to ask for advice. Just “Ask Rob”! Rob in not a professional counselor, a psychiatrist, a homeopathic practitioner and has no professional training in the arts and sciences of peoples mental health issues. He does have an open heart that welcomes you to email him for advice. This website and any articles published by “Ask Rob! The Advice General” are for entertainment purposes only. Before proceeding with any advice offered you should consult a professional. We accept no responsibility for actions/events/occurrences/losses or any other change to your life by following the advice provided through this/these articles, replies and columns. ©2006-2015 AdviceGeneral.com. Articles may not be reprinted or archived without written permission. Rob’s advice is free and is provided for entertainment purposes only. Rob is not a professional counselor, therapist or anything like that. But he does care. He will offer you his thoughts if you ask. Rob will not (nor the parent company that publishes this website and these articles) accept any responsibility for actions proceeding from his advice. Your Privacy Is Not Guaranteed! AdviceGeneral.com respects your privacy and personal information. Every effort will be made to ensure your privacy and to reply to your question as quickly as possible (due to the amount of email we receive, please allow up to 48 hours for replies to advice questions). If your question is selected for publication, an alias will be used in place of your name to maintain your privacy, but please keep in mind, we cannot guarantee your privacy! Your advice request may be published in hundreds of websites and periodicals. We cannot guarantee anonymity and do not promise that you cannot be identified. Any information you do not want to be made public should not be included in your email. All messages with Ask Rob! The Advice General become the exclusive property of this website and it’s parent company. By emailing Ask Rob! The Advice General you agree to these terms (last updated November 14, 2015).